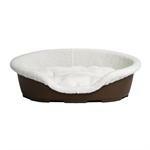 The elevated and ventilated podbase helps make care easy and keeps bedding dry. These versatile pet pods allow multiple design options for pet parents and provide the perfect place for a pet's quiet time. 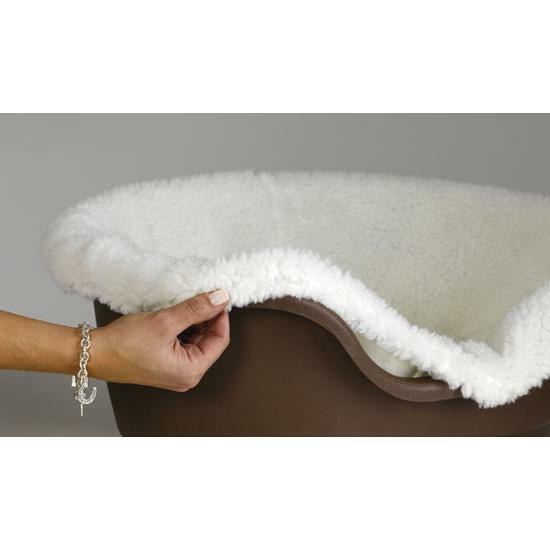 Comfy, plush, white sheepfleece tufted pillow and separate matching pod cover offers versatility and blends with any décor. 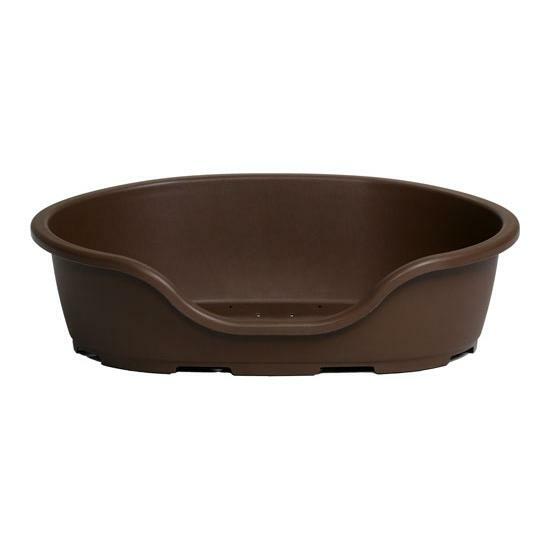 Easy-to-clean, durable mocha colored plastic pods have a ventilated base to help keep pod and bedding fresh. Each pillow and cover is ultra-soft, tufted, washable, and custom fit with easy elastic slip-over installation. No-skid rubber feet protect floor surfaces. Machine washable pillow and cover. Comes in three sizes, please specify.